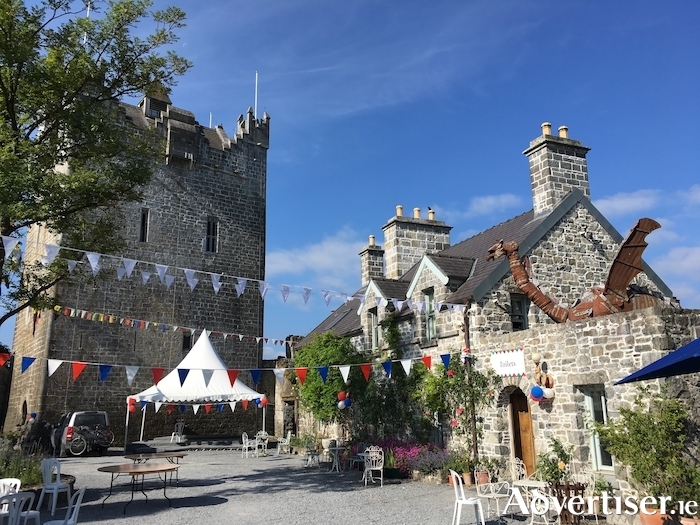 This Sunday the annual Autumn Garden Fair takes place again in Claregalway Castle, where some of Ireland’s best nurseries and rare plant specialists will display a great selection of shrubs, trees and more. Acclaimed plantswoman and creator of one of Ireland’s great gardens, June Blake will be the keynote speaker at 2pm on Sunday. The effect of her Garden at Tinode in West Wicklow has been described by Finnoula Fallon as”…. startling in its beauty like the spilt contents of a jewellery box”. Jane Powers, writing in Sunday Times states “There are few gardens in Ireland of which I never get tired, and to which I like to return again and again”. June Blake will share her rich experience and discuss what to do for Autumn in your garden. Autumn is the best time to plan, plant and redesign a garden. The ground is still warm and plants and trees can settle in to guarantee good growth. You still see the gaps that need filling, the plants you want to remove and replace. Wish you had pears, plums, apple, peach trees? Now is an ideal time to plant some potted trees and you can look forward to a beautiful Spring display of blossom, followed by fruit. Not an experienced gardener? This then is a great opportunity to meet gardeners with years of experience who can guide and advise the best route to planning your own paradise garden. Not an owner of a garden but owner of a balcony and window space? Meet the suppliers who can transform a dull space into something beautiful. Not even a garden enthusiast? Come out and join the green fingered for coffee and light refreshments and hear why a garden matters so much to so many. Garden Boyne Centre - great selection of perennials, Paeonie roses and more - this award winning garden centre has seven successive Gold Medals including three medals for ‘ Best in Show’ at Bloom and Garden Show Ireland. Rare Plants Ireland - an extensive range of unique, rare and unusual trees, shrubs and perennials. Future Forests - from West Cork they bring a wonderful selection of native and exotic trees, conifers, climbers, fruit trees and bushes and years of growing experience to guide gardeners of all levels. Caherhurley Nursery - plants are 100 per cent homegrown for Irish soil conditions and Irish weather. Grown on a windy mountain slope, they have proven they can survive all that Irish weather imposes. Leamore Nursey, Ashford, Co. Wicklow - an eclectic range of plants, shrubs, climbers, and peaonies. Dangan House Nursery - a family run business - a Galway treasure, familiar to many in its beautiful Georgian setting, and loved for all the advice given freely and generously over decades. The event at Claregalway Castle on this Sunday starts runds from 11am to 6pm. There is onsite parking and admission is €5.